The Upper Mayan Trail hike, a full day hiking tour at Lake Atitlan that takes you high into the mountains on a very strenuous hike ending in Solola. Explore the village of Santa Cruz la Laguna with this top rated full day hiking tour. Hike through maize fields, coffee fields, old growth forest, and into the cloud forest. Hiking tours Lake Atitlan | Upper Mayan Trail hike. Visit a sacred Mayan site. Hike ends in Solola with time to explore the market. Very strenuous hike. Biggest market days are Tuesday, Friday and Sunday, but the market is open every day. English-speaking guide. Itinerary: The full day hiking tour begins in Santa Cruz and will start with a 3-4 -hour hike. Visit the village of Santa Cruz la Laguna and then head high into the mountains. You hike along ancient paths that have been used by the Kachekel Maya for centuries. You will view villagers going about their daily life, encounter farmers tending their maize and coffee fields, and see some of the most magnificent scenery in the world. You can visit a sacred Mayan site where rituals are performed by the local shamans, and make your own offering at the alter. This rugged and remote area has barely been touched by the outside world. Our hike takes us 2500 feet above the waters of Atitlan for breath taking views and pristine scenery. As the trail ends high in the cloud forest, you walk though a remote Mayan village high in the mountains where we find the road. There we take a collectivo (shared van/pick-up) the last few miles into Solola. 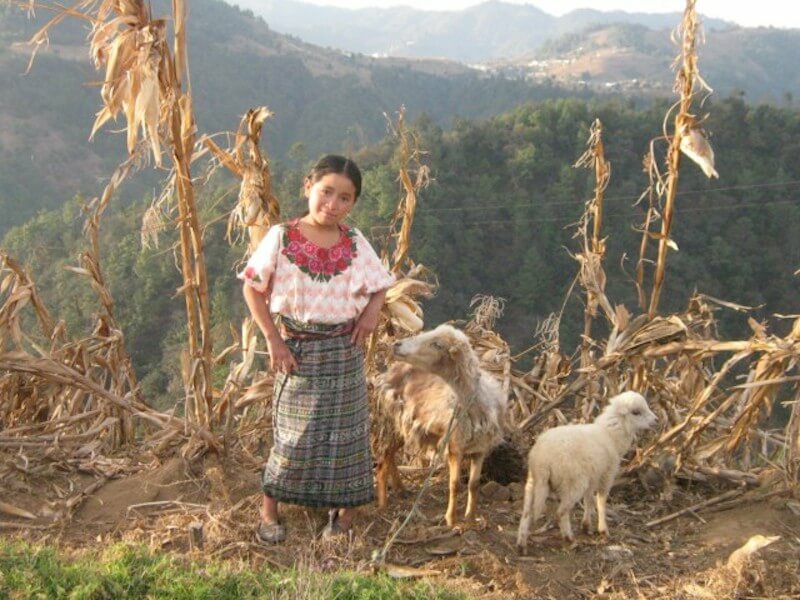 Visit the indigenous Mayan market in Solola. Several Mayan tribes travel to this market each day to trade goods such as fruits, vegetables, fish, flowers, handicrafts, textiles, and live animals. The market is a blaze of color from the textiles, flowers, and produce. In the afternoon visit the Sacred Caves of San Jorge. There is no guarantee, but it is likely to witness a Mayan shaman performing Fire Protection Ceremony at the caves. Your local guide will explain the significance of the ceremony, and will lead you on your own personal ceremony/meditation.Then return via chicken bus or pick up into Panajachel. This is a very full day and only advisable if you are in good health and excellent shape. $85 per person (2 person minimum) Meals & refreshments not included.